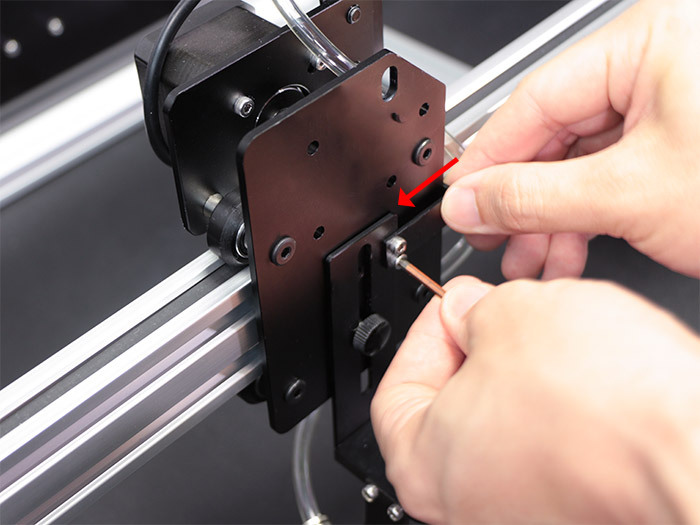 「Attach the Laser Head installed in "Laser Head Assembly" 」section on Wheel Plate x-axis of x/y-axis unit with Thumb Screw. Attach Polyurethane tube on the inner part of One-Touch Coupling referring to the picture. 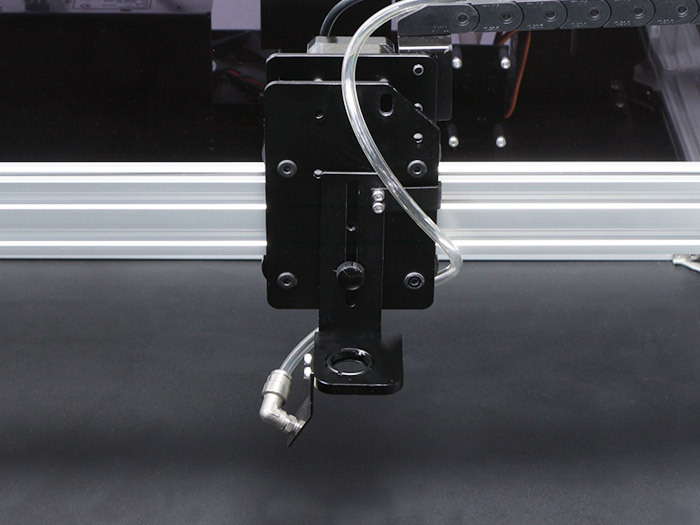 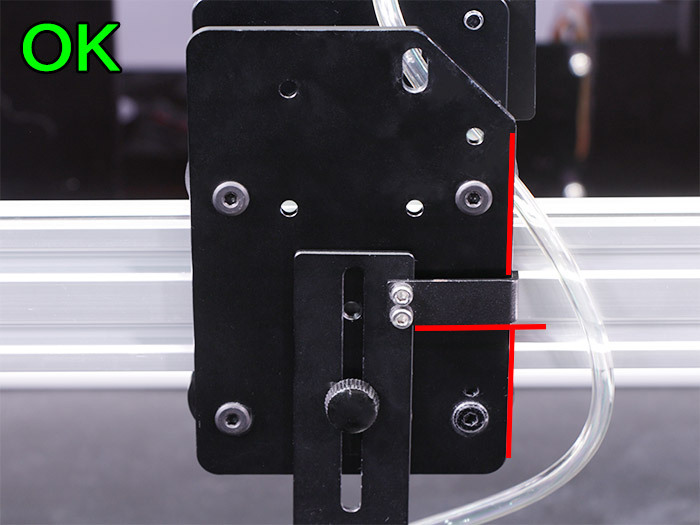 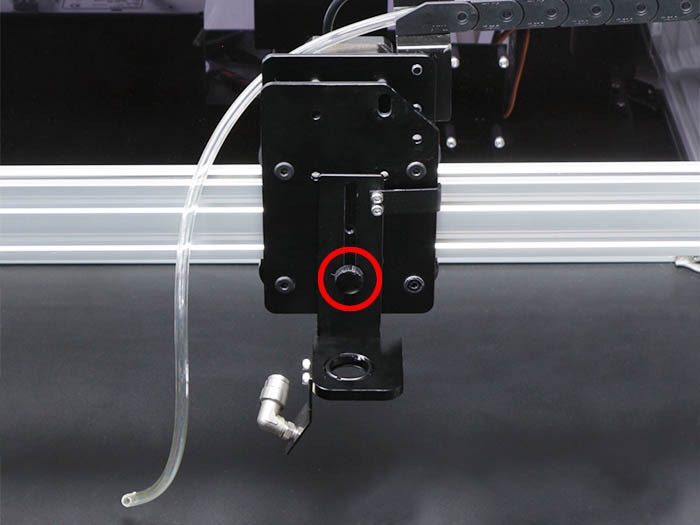 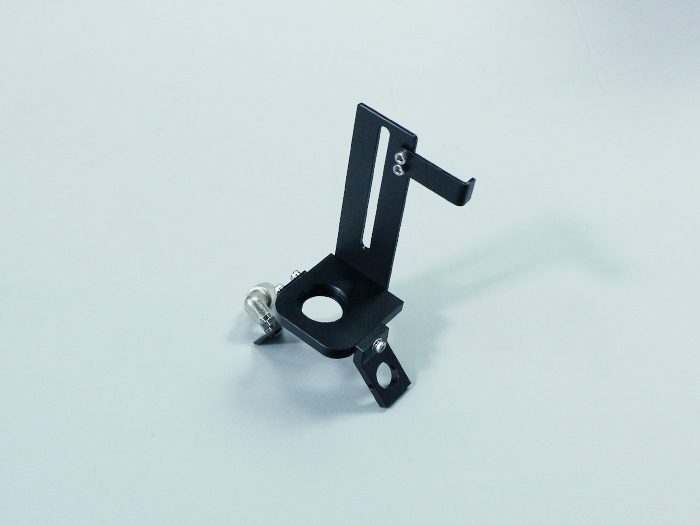 Adjust Position BKT to touch the side of Wheel Plate x-axis when installing the laser head on the Wheel Plate x-axis of x/y-axis unit. 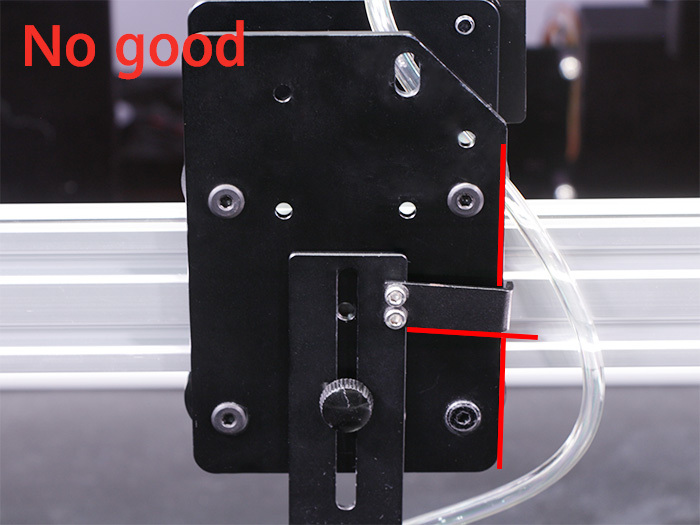 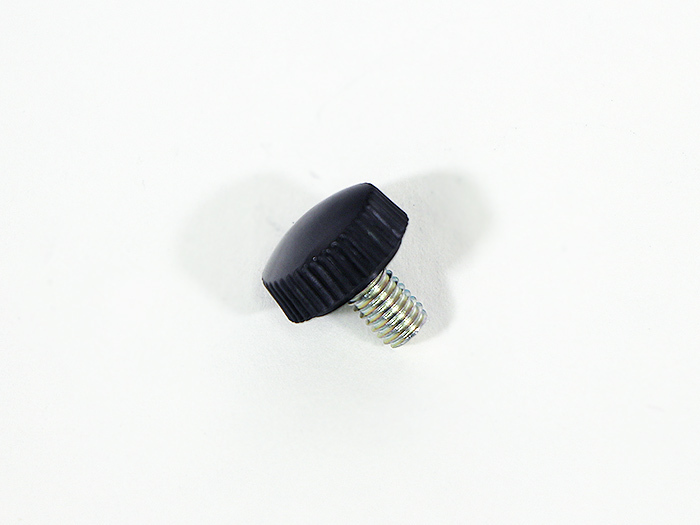 Loosen the screw to adjust when Position BKT is slantingly attached.